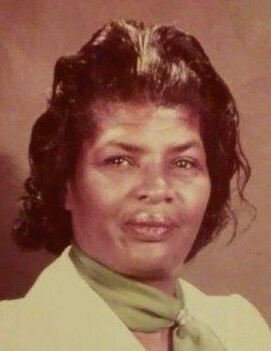 Mary Lee Gordon 90 of Benton Harbor, transitioned on January 29, 2019, at Lakeland Hospital in St Joesph, MI. Legacy farewell service will be held on Tuesday, February 12, 2019, at Robbins Brothers Funeral Home, 204 S Fair Ave, Benton Harbor, MI 49022 with visitation starting at 10:00 am followed by services at 11:00 am. Burial will take place immediately after services at North Shore Memory Garden. Mary Lee Gordon was born on June 7, 1928, in Topeka, Kansas to Edith Brunt and Willie Lee Haywood. She attended school in Chicago, Illinois and Covert, Michigan. Mary met and fell in love with the late Willie C. Gordon and they were wed in holy matrimony in 1968. She was a dedicated wife, mother, homemaker and she also worked for V.M. Corporation plus a host of other jobs to help support her family. Her interests include spending time with her family, gardening, puzzles, and cooking. Mary was an active member of Progressive Missionary Baptist Church under the leadership of Reverend James Childs. Remaining to cherish fond memories are her beloved three sons and one daughter Allan Gordon of Grand Rapids, Michigan - Karen (Milton) Mitchell of Palmdale, California - Kevin (Geraldena) Gordon of Benton Harbor, Michigan Keith Gordon of Benton Harbor, Michigan (19) Grandchildren A host of Great Grandchildren, Great-Great Grandchildren (1) nephew Robert (Stephane) Wilberton of Benton Harbor, Michigan (2) nieces Chaineetha Wilberton and Adrianne Wilberton both of Chicago, Illinois and a host of special dear friends. Mary was preceded in death by her dear husband Willie C. Gordon, mother Edith Brunt, son Ronald Gordon, sister Jackie Bell, and great-grandson Davion Wilburn.